BRUSSELS (Bloomberg) -- Toyota Motor Corp. led carmakers in cutting carbon-dioxide discharges in Europe last year and is closest to achieving its target under European Union legislation, an environmental transport group said. As part of efforts to fight climate change, the EU approved legislation in 2008 to cut car CO2 emissions by around a fifth to 130 grams a kilometer on average in 2015 through varying targets for individual manufacturers. The curbs, with the heaviest autos having to make the biggest reductions, will be phased in between 2012 and 2015. Toyota cut CO2 discharges by 10 percent last year and is now “best placed” to comply with the 2015 target, according to the report published Thursday by Brussels-based Transport & Environment. This compares with a record 5.1 percent drop in the car industry's sales-weighted average emissions of CO2 per kilometer. Toyota, Suzuki Motor Corp., Daimler AG, Mazda Motor Corp. and Ford Motor Co. appear to have achieved the most progress in reducing emissions through better technologies rather than sales of small cars, the study said. 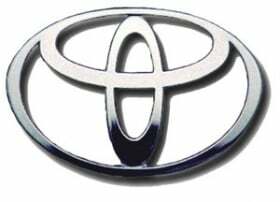 Toyota's average emissions dropped to 132 grams a kilometer last year from 147 grams in 2008. This is the second-lowest level after Fiat SpA, whose average CO2 discharges dropped 5.3 percent to 131 grams, the report said. ACEA, the European automakers association, said average car emissions of CO2 are falling “rapidly” for several reasons, including the impact of the economic crisis and greater consumer demand for cleaner vehicles. An EU draft law from October last year would cut average CO2 from new vans by 14 percent to 175 grams a kilometer as of 2016 after a phase-in that begins two years earlier. Those targets should be tightened, according to the report. Wider European curbs on the transport industry's greenhouse gases including CO2, the main such pollutant, would bolster an EU goal to cut such emissions by at least 20 percent in 2020 from 1990 levels. The EU is considering deepening that target to 30 percent should other countries follow suit.